What happens when a happily married woman, determined to have a baby, discovers that her diabolical stepdaughter is the source of her infertility issues? This chilling premise is the subject of author/actor/playwright Alretha Thomas’ newest book, The Baby in the Window, the second in a compelling four-book series. Q: Let’s talk about how, when and where your passion for the written word was first ignited. A: The fifth grade is where it all started! LOL. Wow, I can’t believe how long ago that was! My teacher gave us an assignment to write a short story. At the time, I was creating stories in my head, but I had never put my thoughts on paper. So needless to say, I was excited. I wrote a romantic comedy. It was about a supermarket bagboy and a young girl who was a customer. The following day my teacher told us that we all did well but that one piece stood out. My stomach flipped because I had this strange knowing feeling that she had chosen my work. I was right. While she read my story aloud, I scanned the faces of my classmates. Their wide eyes, open mouths and fits of laughter were intoxicating and validating. It was an amazing feeling and I knew at that very moment I wanted to be a writer. Q: Were you a voracious reader growing up? If so, who were some of the authors whose work especially resonated with you and/or influenced your own style of expression? A: I loved to read. It was not only fun, but it allowed me to escape my dysfunctional childhood. While other kids in the projects were running after the ice cream truck, I was running after the Bookmobile! Growing up, Alice Walker, Tony Morrision, Lorraine Hansberry, Maya Angelou, and Zora Neal Hurston, wowed me, but it wasn’t until later in life that I began to develop my own voice, and I have to say the work of Terry McMillan and the late Bebe Moore Campbell influenced me greatly. Q: I’m pleased to see that we share a common love of theater! Looking back, how has a theatrical background been instrumental in developing characters, crafting dialogue and envisioning scenes? A: It’s been enormously helpful. Actually, before writing plays, I pursued acting and studied for several years. My acting background served me well when I began writing plays because as an actor, you have to break down the character and the scenes. In the process, you learn how to develop a character and how to structure scenes. As an actor, the first thing you ask yourself is “What is my character after?” As an actor you know that your character should start one place and end up somewhere else. You know that there has to be drama. So when I began writing, I was aware of these elements. Every scene needs to drive the story forward. A scene has to start one place and up somewhere else. My characters have to have an objective. As an actor I read a lot of scripts—well-written scripts. So I got a sense of what realistic dialogue sounds like. It was invaluable knowledge. Q: Which medium presents the greater challenge for you – writing a play or writing a novel? A: Writing a novel is more challenging because it’s longer and more in-depth. For the record, I love the challenge. Writing a novel for me is definitely a labor of love. When crafting a novel, you’re creating an entire world. God did it in seven days, but I’m a mere mortal! LOL! I can complete the first draft of a play in a few weeks, but it can take up to three months to complete the first draft of a novel. The average full length play is approximately 20k words, whereas the average full length novel can run as long as 80k words. Okay, I must include this disclaimer regarding the first book in the Cass & Nick series, Married in the Nick of Nine. I completed the first draft of this full length novel in four days! I had gotten laid off my corporate job in 2011 and that same week I was somehow compelled to query the novel. One caveat—it wasn’t complete—a definite no-no in the literary world. Never query an incomplete manuscript. I only had thirty-two pages. I queried one agent and, of course, the agent asked for the entire manuscript. This had never happened before. Usually I had to query over 300 agents to get a few responses. Crazy! So I got busy. I stayed up for four days straight writing. I was like Bradley Cooper in the movie Limitless, but instead of the fictional drug NZT, I was riding on faith and prayer. I submitted the novel, but needless to say the agent passed! I got great feedback, but no cigar. I eventually got the novel in tiptop shape and it’s since been published. Q: What governed your decision to write a series and how was your creative approach to its structure different from that of a stand-alone novel? A: I didn’t set-out to write a series. As mentioned, Married in the Nick of Nine was a single novel. However, after it was published, readers wanted to know what happened next with Cass & Nick. They fell in love with the couple and so did I. I had to give them more stories. 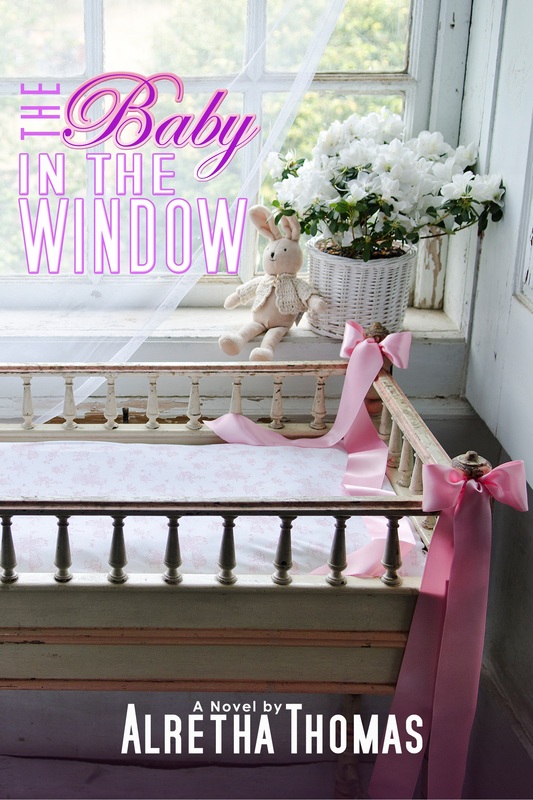 So after marriage comes baby…right, The Baby in the Window. That’s the second book in the series. Being that I didn’t intend on writing a series, I approached Married in the Nick of Nine in the same way I do all of my novels. Q: Is it imperative that someone read the first book in the series, Married in the Nick of Nine, in order to follow what’s going on? A: I wrote The Baby in the Window as a stand-alone novel so that it can be enjoyed even if a reader doesn’t have the opportunity to read Married in the Nick of Nine. I also made a point to reference major plot points and include other pertinent information from Married in the Nick of Nine so that new readers can easily be brought up to date. However, for the ultimate ride, I’d suggest readers begin with Married in the Nick of Nine. Q: Tell us about Cass and Nick and what makes them tick as watchable characters? Are they fashioned after anyone you know in real life? A: Cass is a modern-day woman. She’s strong, independent, smart, owned her own home before she was married and is on the fast track at her corporate job. She’s also a strong A-type personality and that tends to get her in trouble. Sometimes she can be on the controlling side and she invariably finds out the hard way that it’s better to let go and let God when it comes to things that she cannot completely control, such as finding the perfect partner and having a baby. Cass also has a big heart and can be funny. She volunteers at a shelter for women. In terms of her humor, there’s a scene in The Baby in the Window where she’s at church and goes to the altar for prayer. A man with a receding hairline and a woman wearing a large hat approach the altar also. Cass wonders to herself if the man is praying for hair and the woman for better taste in hats. Cass wasn’t fashioned after anyone in particular. I’d have to say she’s my fantasy woman, i.e., the woman I wish I could have been from the beginning of adulthood. I started out more like Cass’s crazy cousin Cynthia. That was in my 20’s and 30’s. Today I am more like Cass. Nick is the kind of man I would want every woman to have. He’s real easy on the eyes, loves Cass to death, is loyal, a hard worker, but not flawless. He tends to procrastinate when it comes to making hard decisions and he hasn’t always been the most truthful man. His heart has been in the right place, but he’s made poor choices, especially when he meets Cass for the first time. But his good looks, charm, and love for Cass make it easy to look past his faults. Nick, like Cass, isn’t based on a specific person. He is my fantasy man. Don’t laugh, but I have a serious crush on Nick! Q: How about the diabolical stepdaughter? A: Renee is the antagonist in The Baby in the Window. She’s thirteen going on forty with a bad attitude. In her mind, Cass is the enemy and she’s determined to get rid of her. Granted she’s been through a lot with her real mother, but she takes troubled teen to a whole ‘nother level. I try to write my characters three-dimensionally. No person is all bad or all good. So as much as the reader will grow to detest Renee, I’ve written her in such a way that there will be times when you want to not only hit her, but give her a hug. Q: Do you already have an idea where their fictional lives will take them as the series unfolds or do you invite them to “talk” to you as you write? A: It’s a combination of both. The characters are so real and alive to me they’re always talking to me and I’m always thinking about the next step. That’s one of the most gratifying aspects of being a writer…having the power to orchestrate lives. Q: If Hollywood comes calling to turn Cass and Nick’s story into a feature film, who would your dream cast be? A: At a recent book club meeting (Sistahs Read Too, in Los Angeles) that question was asked. Casting Cass and Nick isn’t as easy as I thought it would be. From a producer’s point of view I’d want to go with a name. Jennifer Hudson comes to mind. She’s the right age and has the right look. I ran across an actor the other day that could be a good Nick. His name is Lawrence Saint-Victor. But on the other hand, I’d love to have unknowns cast and surround them with named actors. The women of the book club thought a young Blair Underwood would make a great Nick. Q: Your debut novel, Daughter Denied, was published back in 1999. What motivated you to start writing again after 14 years and how has that journey been different from your original foray into publishing? A: After writing my first novel, I put it on the shelf and took it off the shelf for several years. During this period of vacillation, I wrote several plays that were produced in the Los Angeles area. It was Barack Obama deciding to run for president that gave me the courage to self-publish my debut novel, nine years after writing it. Once the book hit and I started getting feedback from readers, I felt like that fifth grade student again. I had to write another book. The industry has changed a great deal since 1999. I recall having to use snail mail. I spent a lot of money on postage. Most agents or publishers did not accept electronic submissions. Now it’s just the opposite. Contact information for agents and publishers was limited. Now you can find everything on the Internet. The competition was not as fierce fourteen years ago either. With the advent of E-Books, everyone is writing, has written, or wants to write a book and not everything in the market place is on a quality level. Q: How did you go about choosing a publisher for your work? A: My work is self-published. A: It’s driven by the bottom line. I thought that if you had a good story and it was written fairly well, then you were guaranteed a deal. However, I was very naïve. Publishing is a business and houses want to make money. They need to know that your book is going to sell. That’s why it’s very difficult for a first-time author to land a publishing deal and easier for a well-known entertainer to get a lucrative deal, even if they have no writing credits. It’s their following that the publishers know will guarantee that the book sells. Q: As an indie writer, how are you marketing and promoting the series so that readers will discover it? A: I utilize social media to the max, i.e., Facebook and Twitter. I’m always posting about my novels. If I get a new 5-star review, I announce that. I post about book club meetings. I attend book fairs. I am currently connecting with book clubs across the country, offering complimentary books in exchange for reviews and to be added to their reading lists. I do something to market my book multiple times a day. I’ve also run commercial spots on radio stations in Los Angeles and Atlanta. I participate in Blog Talk Radio Interviews. You name, it I do it! Q: So many aspiring writers lament that they don’t have time to write all the books bouncing around in their heads. You, however, manage to get this done despite a full-time job and a 350-mile-a-week commute. How do you do it? A: I’ve never had writer’s block. Writing comes easily to me and it helps that I don’t have any children. My husband is a talented pianist, so while he’s on his keyboards, I’m typing away at the computer. We both put a lot of time into our passions. Q: What would readers be most surprised to learn about you? A: I have a 99-year-old mother-in-law who will be 100 in January 2014! Q: What’s the one thing you wish someone had told you before you decided to become a writer? A: Don’t become a writer. LOL! Just kidding. I wish they had really told me how difficult it is to get an agent and a publisher. I’m sure I wouldn’t have listened anyway. I love writing. BTW, after thirteen years, I finally landed an agent. A great one at that. Stacey Donaghy of the Donaghy Literary Group. Q: What’s your best tip to aspiring writers? A: Never give up! It’s a cliché, but true. A: I want to thank each and every person who took the time to read this interview. Thank you! A: At my author website. www.Alrethathomas.com.